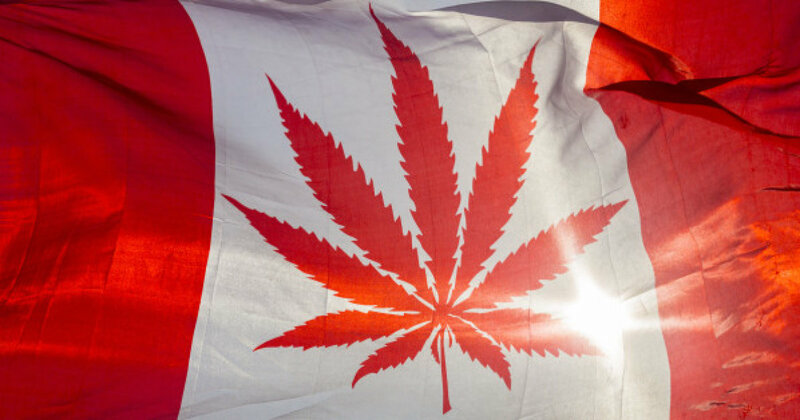 In April 2017, the federal government introduced legislation to legalize and regulate recreational cannabis in Canada. If passed, the proposed federal Cannabis Act would create rules for producing, possessing and selling cannabis across Canada. The Saskatchewan Liquor and Gaming Authority (SLGA) will issue approximately 60 cannabis retail permits to private operators in as many as 40 Saskatchewan municipalities and First Nation communities. A Cannabis Retail Store Permit will not be issued to an applicant who has not met the physical security requirements for the premises. Any separate storage facility must meet the same requirements. e) a plan identifying system compliance must be submitted to SLGA for approval along with any changes to an approved plan or system. iv. the secure cannabis storage room. d) recording and viewing system must be located in a secure location within the premises along with a maintained surveillance plan showing camera numbers, locations, coverage, authorized users list and operating instructions. e) if the permittee has knowledge, or should have had knowledge, of any pending criminal or regulatory investigation, recorded data and relevant information must not be destroyed after the 60 calendar day minimum recording retention period and must be provided to SLGA and police upon request. f) a plan identifying system compliance must be submitted to SLGA for approval along with any changes to an approved plan or system. g) the system must be tested weekly to ensure all cameras and recording equipment are functioning properly and a log of the test results must be kept and available to SLGA upon request. h) all malfunctions must be immediately repaired. a) the use of 1.5mm (16 gauge) hollow metal doors with 1.9mm (14 gauge) metal frame and tamper-proof hinges at all entry points other than the customer entrance. b) commercial grade non-residential locks on all access points with secured tamper-proof strike plate and locking device must penetrate the door frame at minimum 1.25cm. c) a customer entrance constructed of commercial grade material sufficient to secure against unauthorized access. d) an overhead receiving door constructed of commercial grade material and locking device (if required). e) sufficient to secure against unauthorized access. f) perimeter locking devices not on a master key system. a) All cannabis displayed in a customer area must be within a showcase that is accessible only by authorized staff. b) All cannabis on display must be in its original sealed package or an approved container. c) All cannabis not displayed in a customer area, and after operating hours all cannabis, must be stored in a locked secure cannabis storage area accessible only by authorized staff. a) a safe where the safe is a solid metal receptacle capable of lo cking and that weighs either 341 kilograms or that is anchored to the permanent structure of the building. For any items requiring refrigeration, a locking refrigeration unit that weighs 341 kilograms or more orthat isanchored to the permanent structure of the building is considered a safe. i. constructed of Flattened Metal Mesh, EMMA 557-99 style ¾-9F,nominal strand thickness of 0.120" (0.108" to 0.132"} diamond opening of 0.563" x 1.688" or Sheet steel 16ga, Al008/A1008M (cold rolled) or A1011/A1011M (hot rolled) or equivalent. • secure all sheets with screws, welds or rivets. iii. 16gauge (1.6mm) steel sheets, HR Commercial quality, ASTM A366, matte finish, shall extend 1200mm around doorframe on inside of room and attached to the doorframe with screws, welds or rivets. iv. minimum 1.5mm (16 gauge) hollow metal door not exceeding 36 inches width with 1.9mm (14 gauge) metal frame. v. commercial grade door lock with locking device that penetrates doorframe at least 1.25cm and tamper­ proof hinges. vi. 16mm gypsum wallboards on both sides of the wall (interior optional) attached with drywall screws. Although not part of the SLGA security requirements we highly recommend installing FlashFog as an added security measure. Burglars Can't Steal What They Can't See. We have Smart Bundles specifically designed to meet SLGA Security specifications. If you would like more information please Contact Us for a FREE QUOTE. How much do you think it costs to install a smart home security system? Many homeowners believe installing a modern residential security system is costly, but holding off could cost a lot more in the long run. 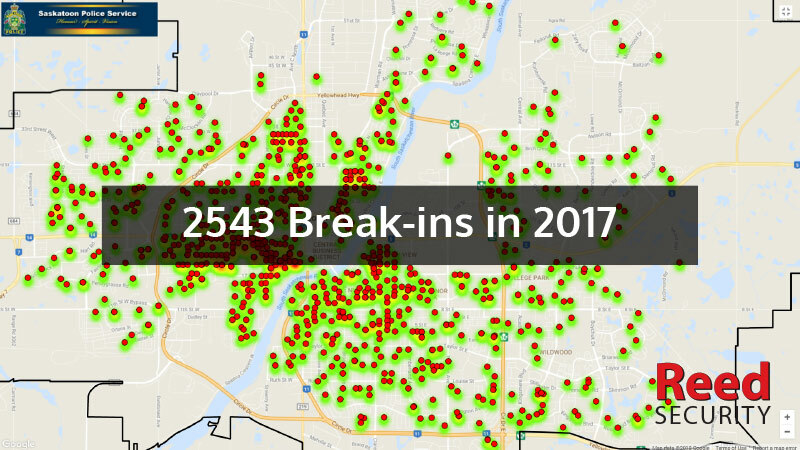 We’ve been to many homes that have experienced a break-in or damages relating to fire, flooding and furnace breakdowns. We see People going through anxiety, spending a lot of money on insurance deductibles and endless hours replacing their valuables. Is it worth it to go through the anxiety, stress and feeling vulnerable? What is your time worth to file an insurance claim and provide documentation of all the valuables that need to be replaced? What are your keepsakes worth that can’t be replaced? Most home owners install a security system after the fact so they don’t have to go through the pain again. These days, you can easily find affordable security solutions for your home without “burning” a hole in your budget. The first reason to consider installing a smart home security system is that it provides protection for the things that matter most - your home, your belongings, and your family. Installing a home alarm system deters burglars from breaking and entering. Intruders often avoid the homes with security warning signage and appear to be protected. 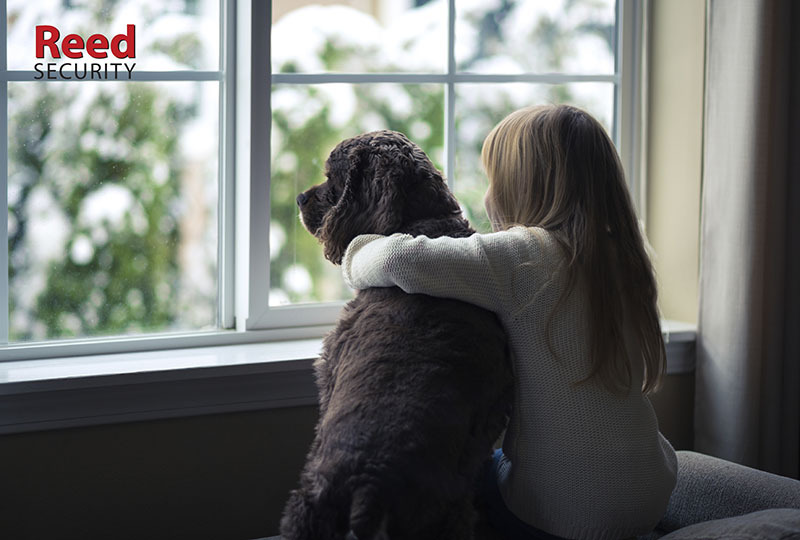 You are 400% less likely to experience a break-in when you have a monitored home security system. The insurance companies agree and provide discounts of 10% to 25% (because their risk of a payout is reduced). A professionally installed security system with door sensors, window sensors, motion sensors, glass-break sensors, siren and 24/7 Monitoring service with POLICE dispatch will limit the intruders time on site - which also reduces your losses. 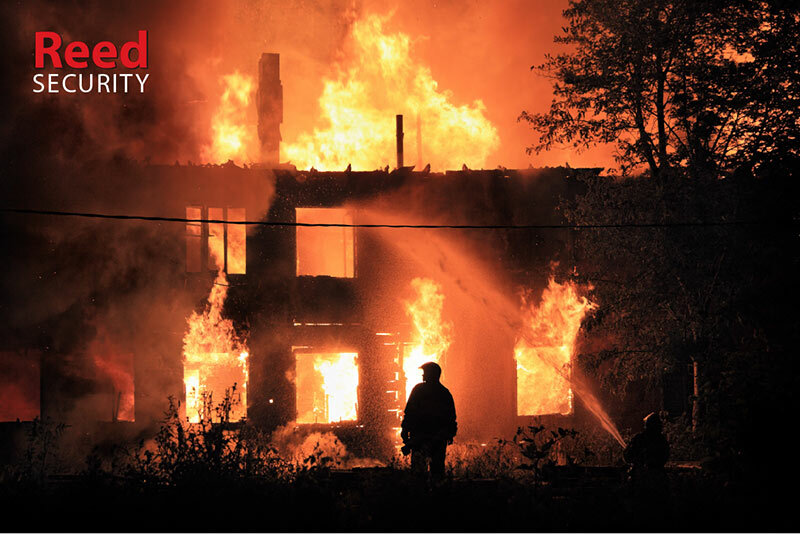 According to the NFPA (National Fire Protection Association) there are about 24,000 house fires each year in Canada, resulting in an average of 377 deaths and 3,048 injuries per year. The #1 ignition source in all preventable house fires is cooking equipment that ignites clothing, oil or flammable liquids. In fatal, preventable house fires, the #1 ignition source is smoking materials, such as cigarettes. Fires are most likely to start in the kitchen, bedrooms and living room. In fatal, preventable house fires, more than 1/3 of the homes didn’t have a working smoke detector. A modern home security system can protect you from smoke and fires. Monitored Smoke and Heat sensors alert occupants of the presence of smoke, identify the source of the heat and also contact our 24/7 Monitoring Stations with FIRE Department dispatch. Smoke and heat sensors should be installed in hallways and near bedrooms. Some insurance companies provide additional discounts when you have monitored fire protection. According to Environment Canada, floods are the costliest natural disaster in Canada in terms of property damage. They are also the most common Canadian natural disaster, with about 40 per cent of floods occurring in April and May. 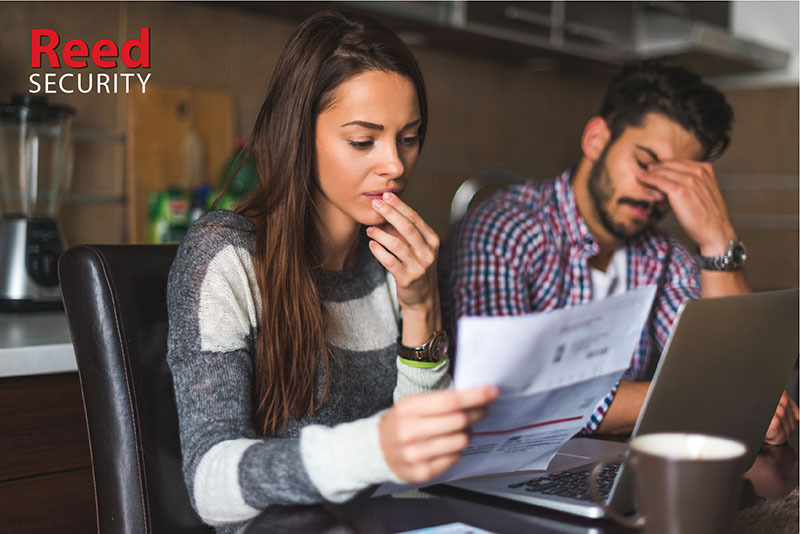 You could potentially save thousands of dollars by dealing with the problem sooner and avoiding an insurance claim. Did you ever come home to a freezing home during an ice-cold winter? You couldn’t feel or hear the sound of forced air? OH NO - the Furnace is out! The biggest risk when your furnace cuts out is freezing water lines. Get ready to spend $500 to $4000 on Plumbing and HVAC repairs. By installing a monitored temperature sensor you would receive an instant alert from ALARM.COM and our 24/7 Monitoring Stations. You or another key-holder can deal with the problem before it gets really expensive. Going on vacation? Many home-owners insurance policies have requirements that your home must be checked regularly (every 1-4 days) by someone for the policy to remain in force. Alternatively you could install a modern smart home security system with 24/7 Monitoring. 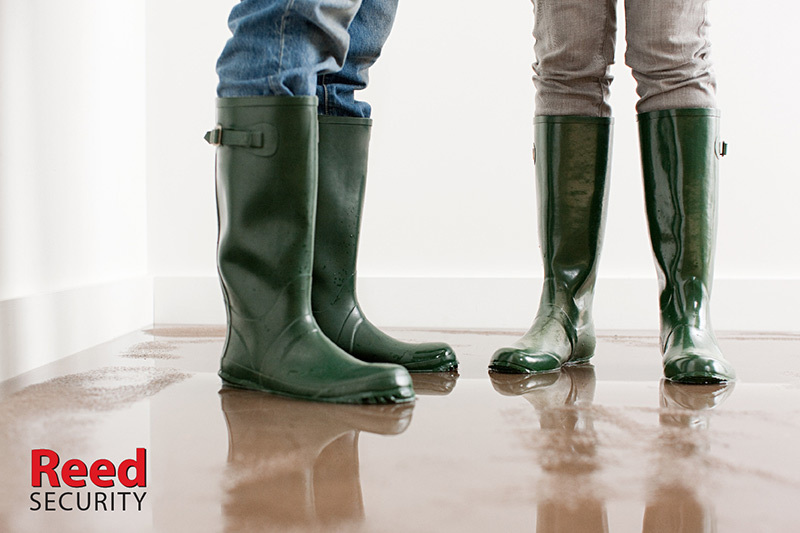 Some insurance companies provide additional discounts when you have monitored flood or low temperature protection. 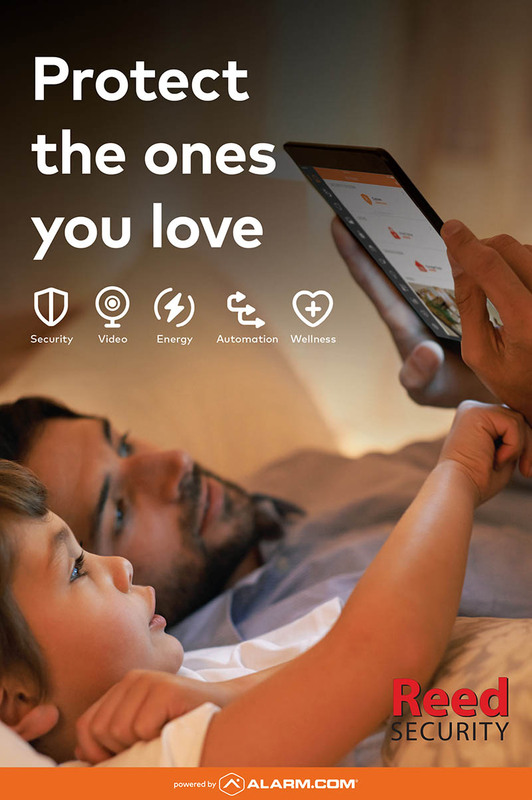 More than a smart app or a cool thermostat, ALARM.COM seamlessly connects the key devices in your home on one platform - so they work together and work smarter. Each system is easily customized to your home’s unique configuration and your needs. SECURITY CONTROL - With a variety of panels to choose from, you can take advantage of features such as two-way voice for emergency response, and severe weather alerts that notify you if dangerous conditions are detected nearby. ALARM.COM’S Crash & Smash technology ensures that your system will still work even if the panel is smashed. LIGHT CONTROL - Manage lights with automatic schedules, and set rules to have lights automatically turn on in an alarm event for added visibility and safety. LOCK CONTROL - Eliminate the need for keys with smart locks. Give each user their own lock code, remotely lock or unlock the door through your app, and get a notification whenever a user unlocks the door. THERMOSTAT CONTROL - You can keep the family room comfortable on the weekend, make sure the nursery is exactly the right temperature at nap time, and have the whole house drop to a savings setting when nobody is there. The Smart Thermostat uses all the security sensors around the home so it can automatically respond to different conditions and activities. VIDEO SURVEILLANCE - Keep an eye on what matters to you. Peek-in to watch live streaming video anytime, get video alerts if a specific activity occurs, and watch recorded clips – all from your app. INSTANT ALERTS - What time did my teenager get home? Did I forget to close the garage door when I left today? 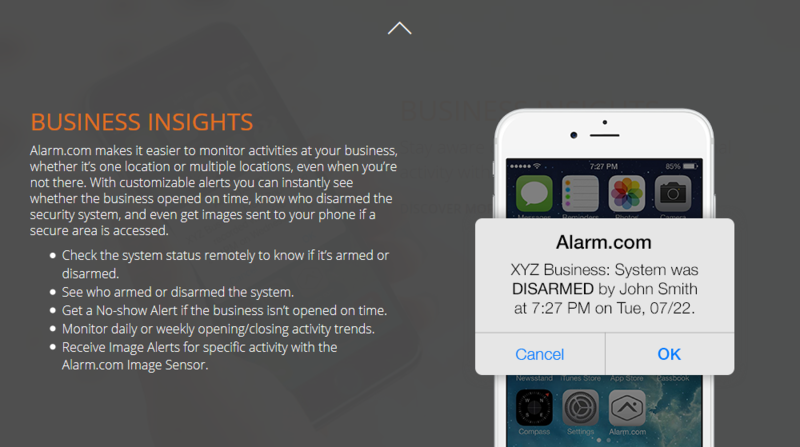 Unlike traditional systems that only alert you in an alarm event, ALARM.COM lets you know what’s happening at your property at any time. It’s easy to set your own alerts and reminders to be notified of any activity you care about, whether your system is armed or not. So, what will all this security and automation cost? You can purchase sensors and have them professionally installed a-la-carte. Security sensor and automation device prices range from $50/ea to $300/ea. (includes installation). 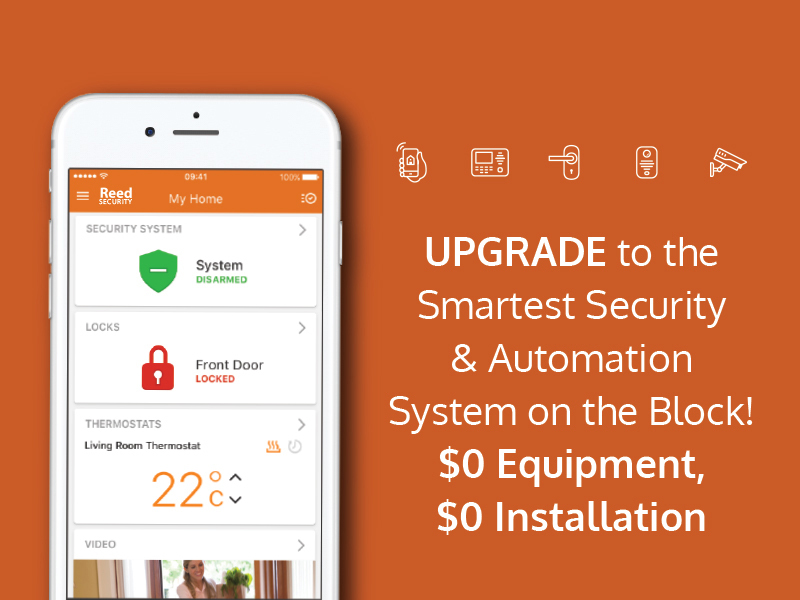 A professionally installed modern smart security package will cost between $599 and $1999+ (based on a 1500 square foot home). 24/7 Monitoring fees will range from $19.95 to $39.95 a month. Many of our clients prefer our very popular $0 DOWN PLANS and often use them to upgrade older systems. Instead of paying up front equipment and installation fees we created affordable plans that range from $49.95/mo. to $79.95/mo. O.A.C. when you sign up to a 48 month subscription. All SMARTHOME plans come with equipment, professional installation, 24/7 Monitoring with Fire and Police dispatch, ALARM.COM app and on site warranty. 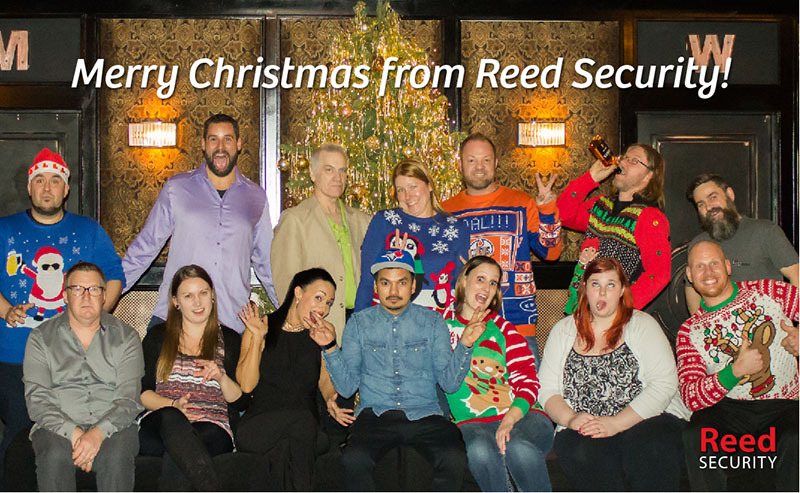 If you would like to know more about any Reed Security products, services or plans please Contact Us today for more information. We are happy to provide you with a FREE HOME OR BUSINESS SECURITY EVALUATION. 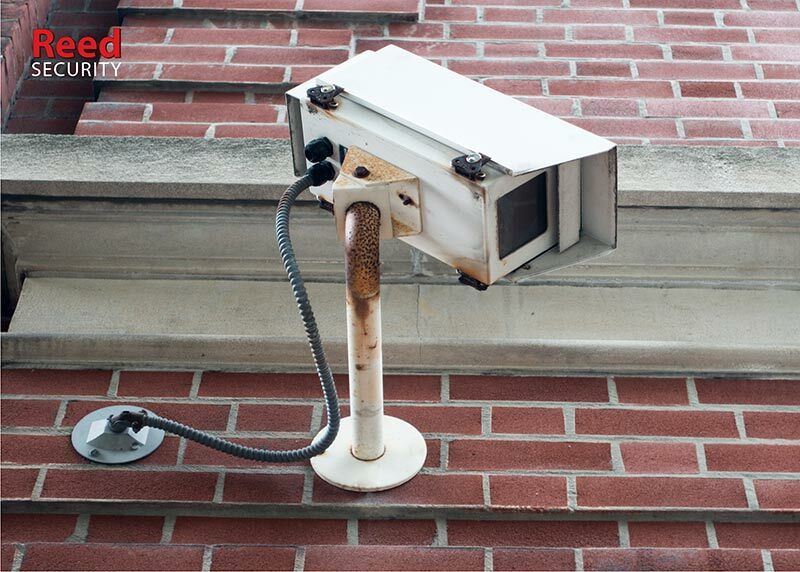 WHEN IS IT TIME TO UPGRADE YOUR SECURITY CAMERAS? The first sign is when security cameras are NO LONGER EFFECTIVE. A video surveillance system is a valuable tool that businesses use to Re-gain Control, Reduce Theft and provide valuable Business Insights. If you no longer Trust your security cameras then there's a Problem. 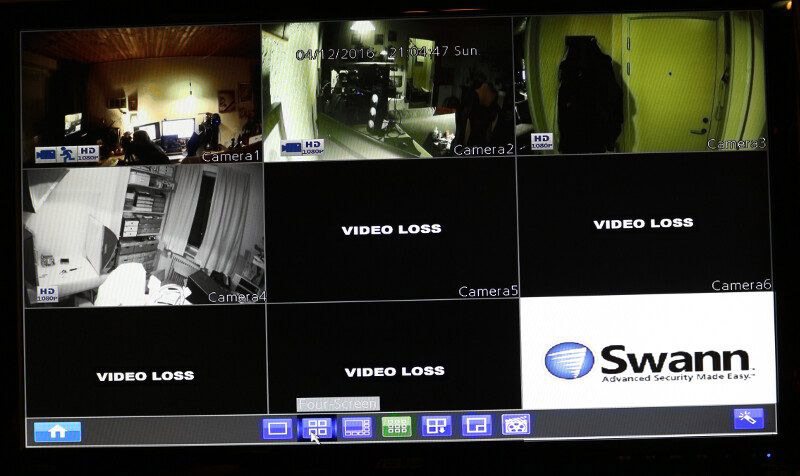 If your Video Surveillance System is 5 to 10 years old, then many of the above problems are common. Sometimes your Video Surveillance System can be fixed with a service call and other times a partial or complete Upgrade is needed. SECURITY TIP: A yearly service call to clean cameras and update firmware can improve the performance of your CCTV system by 15% to 20%. We all watch TV - think of the difference in quality between regular channels and HD channels. ReedHD™ can help solve more crimes using less cameras due to increased image quality. 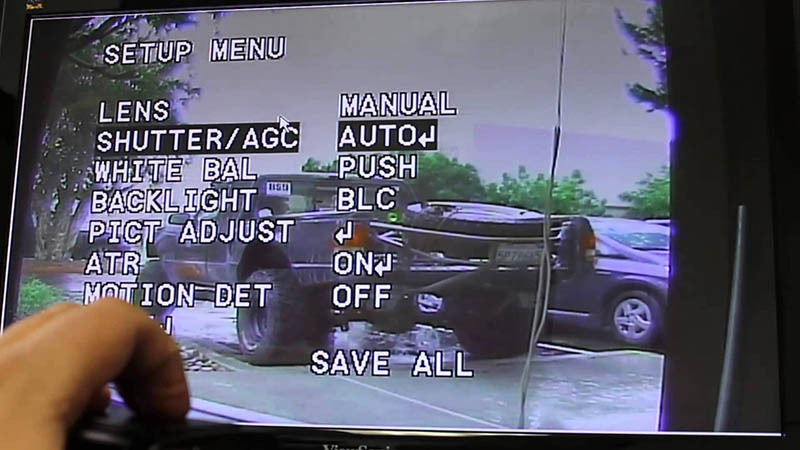 A standard video surveillance camera records in 0.3 megapixel (VGA 640x480 pixels). 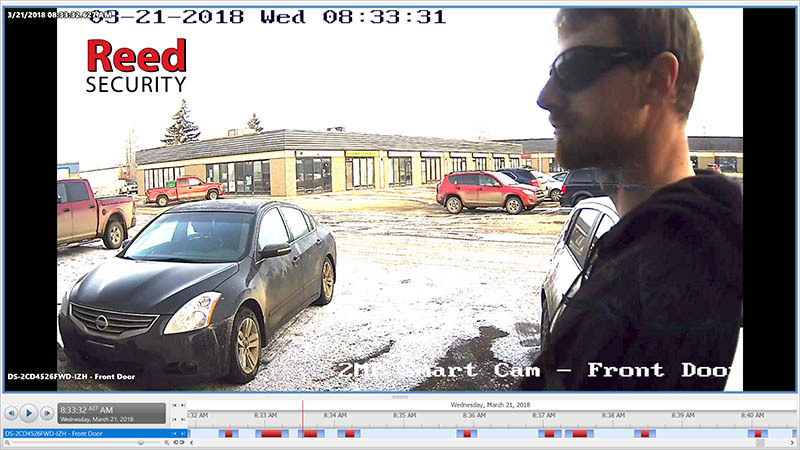 ReedHD™ records in resolutions up to 4K (3840x2160 pixels) and gives you a better opportunity to record and recognize Faces, License Plates and Objects. A ReedHD™ 4K camera gives you the same resolution as over 26 standard definition cameras (based on pixel counts). If you would like more information on Upgrading Your Security Camera System Click Here for a Free Security Evaluation.